The LG Lucid 3 VS876 Manual is pdf ebook that contains tutorial or instruction to using this smrtphone. In this manual you can find many reference information for example how to Setting Up Your Phone and Locking the Screen guide. The LG Lucid 3 available in Verizon Wireless carrier. It comes with 1.2 GHz quad core Qualcomm Snapdragon 400 8926 processor. It's run on Android Kitkat 4.4.2 operating system. It has 4.7 inches IPS LCD capacitive touchscreen display with resolution of 540 x 960 pixels. There are 8 GB internal memory, 1 GB of RAM, and support external memory up to 64 GB. In addition also equipped with 5 megapixel rear camera. 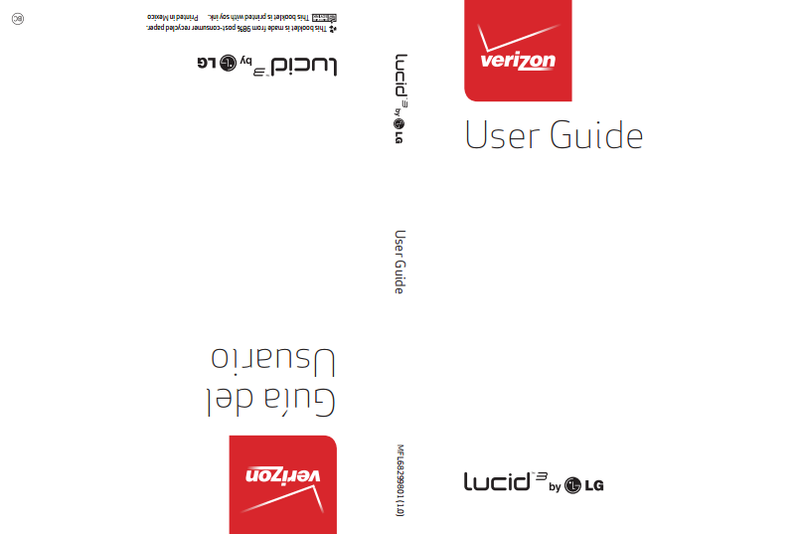 The LG Lucid 3 VS876 User Manual consist of 266 pages. It's available in english and spanish language. It's provide detail information such as phone overview and layout, Removing the Battery and SIM Card, Inserting and Removing a Memory Card, Charging the Phone, Optimizing Battery Life, Turning the Phone On and Off, using the Touchscreen, Working with Menus, Searching Your Phone and the Web, and Customizing the Home Screen. Then about Connecting to Mobile Networks like Wi-fi, USB Connection, and smartshare, using call and web, using camera, using internet, using messges, video player, hangouts, play store, youtube, using quickmemo, qslide, maps, polris viewer 5, using file manager, safety and more.